Access to our new bands at 630 and 2200 meters is one step closer, but not there yet. The FCC's Report and Order establishing a secondary amateur allocation on these bands and setting out the parameters for operating on them (such as power limits, etc.) has been published in the Federal Register, but the door is not yet open. According to the ARRL Letter, the next step will be for the FCC to work out the procedures by which amateurs will need to notify the United Technology Council of intent to operate on the bands. UTC represents power utilities that use these low and medium frequencies for power line communication (PLC) systems that control the power grid. Amateur operation on 630 and 2200 meters will not be allowed within one kilometer of transmission lines using PLC and notification to UTC will be required prior to going on the air. Once the procedures have been developed (and there is no timetable for doing so), the FCC will issue a Public Notice providing the details and announcing opening dates for the bands. Until then, general amateur operation is still not allowed. President Trump announced on June 13 that he intends to nominate former FCC Commissioner Jessica Rosenworcel to return to the commission for a second term. She had been renominated by President Obama in 2016 but the Senate did not act on the nomination before its session ended. Mr. Trump is expected to announce a nomination for the vacant Republican seat in the near future. In addition, FCC Chairman Ajit Pai announced the appointment of Donald Stockdale as Chief of the Wireless Telecommunications Bureau (which regulates amateur radio), and of Rosemary Harold as Chief of the Enforcement Bureau. Stockdale is an attorney and economist and held various positions at the FCC between 1994 and 2011, when he left to work in the private sector. An attorney and former journalist, Harold served as deputy chief of the FCC's Media Bureau before joining a private law firm in 2011. Stating that "every tower climber death is preventable," FCC Chairman Ajit Pai announced in early June that his agency and the Occupational Health and Safety Administration (OSHA) have jointly published the Communications Tower Best Practices Guide, the outgrowth of two joint tower safety workshops held in 2014 and 2016. According to the ARRL Letter, the free guide is aimed primarily at people working on commercial towers, but also "offers information applicable to the amateur radio community and contractors working on amateur radio support structures." The 28-page guide may be downloaded in PDF format from the OSHA website at <http://bit.ly/2t5rvwj>. The U.S. Air Force will no longer permit amateur radio student satellites from the U.S. 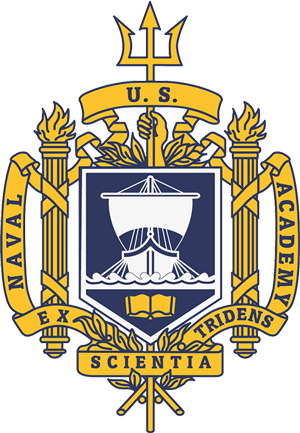 Naval Academy to be carried to orbit aboard Defense Department rockets, according to Bob Bruninga, WB4APR, the developer of APRS and a senior research engineer in the academy's department of aerospace engineering. Bruninga's comment came in the context of a report on the AMSAT News Service in which he is seeking a launch host for a fully flight-qualified digipeater and DTMF transponder module. "Unfortunately," Bruninga wrote, "the Air Force (responsible for all DoD satellite launches) has unilaterally declared that they will not accept any more Amateur Radio student satellites from the Naval Academy for flight on DoD launches." No reason for the action was given. The ARRL Letter reports that British ham Paul Marsh, M0EYT, has successfully received signals transmitted by the Cassini spacecraft from its current orbit of Saturn. Cassini was launched in 1997 and serves as an orbiting repeater for the European Space Agency's Huygens probe, which is transmitting from the surface of Saturn's moon Titan. 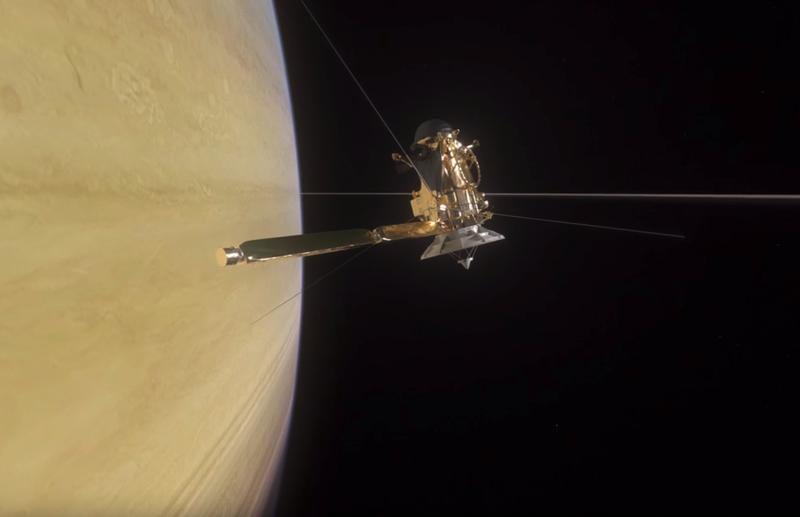 According to the report, Cassini is currently making about two dozen dives through Saturn's rings and is expected to crash into the planet in September. Marsh monitored the 8.4-GHz signals with a 2.4-meter dish and a homebrew downconverter. A ham in Australia is being credited with rescuing a satellite built by three universities in his country and launched as part of the European QB50 project. According to the AMSAT News Service, the I-Inspire-2 cubesat was successfully deployed from the International Space Station in May, but did not appear to come on the air. Engineers determined that the most likely problem was that its antenna did not deploy and that a stronger signal than they could generate was needed to send up new commands telling the satellite to wait until its batteries had recharged before trying again to deploy its antenna. They asked the amateur radio EME (Earth-Moon-Earth) community for help, and Rob Quick, VK1KW, came to the rescue. He was able to work with the satellite's ground controllers to transmit the new instructions, after which it appeared that the antenna was successfully deployed and the satellite came to life! Finally on the satellite front, a constellation of five amateur radio cubesats built in five different countries was successfully launched to the International Space Station in early June. Once deployed later this year, the BIRDS-1 satellites will be part of an experiment in conducting VHF/UHF communications with amateur ground stations around the world. The challenge, according to the AMSAT News Service, will be to distinguish each satellite from the others – they're all on the same frequency – and to hand over satellite operation from one ground station to another. For more information, visit <http://birds.ele.kyutech.ac.jp>. Swedish physics professor and radio amateur Asta Pellinne-Wannberg, SM3UHV, was honored recently by the International Astronomical Union, which named an asteroid for her! In recognition of her work using scattering radar to study meteors and as chair of the Swedish National Committee for Radio Science, Newsline says the IAU has designated a particular asteroid as Asteroid 11807 Wannberg, her very own celestial body. Amateur radio astronomer as well as amateur radio operator Blair Heath, KD2EPA, has received his Gold certification from the Astronomical League (AL) for making at least ten galactic observations. The ARRL Letter reports that Heath, who lives in Oceanport, New Jersey, made most of his observations using ham equipment and a 60-foot dish antenna. He is scheduled to make a presentation on "How to Use Ham Radio Gear to Do Radio Astronomy" at the AL's international meeting next year. "personal electronic devices" while driving. However, the new law excludes amateur radio, CB radio and other two-way radios from inclusion under the definition of "personal electronic device." FCC Cracks Down on RFI Testing, FM "Pirate"
The FCC has told foreign manufacturers of devices that generate RF energy that they must comply with equipment testing rules or face the possibility of being prohibited from selling their products in the U.S. According to Newsline, these products range from lighting equipment to devices for the so-called IoT, or Internet of Things. The notice follows enforcement action in May against a company whose lighting fixtures reportedly interfered with AM and FM broadcast signals. In another enforcement action, the FCC has warned a New Jersey ham to stop making unlicensed transmissions in the FM broadcast band. According to the Commission, Winston Tulloch, KC2ALN, of Paterson, New Jersey was monitored by FCC officials illegally operating a broadcast station on 90.9 MHz. It noted that while FCC rules permit unlicensed signals on the band whose field strength does not exceed 250 microvolts per meter at 3 meters from the antenna, the signal strength its agent measured was 176,526 microvolts per meter at 231 meters. Tulloch was given ten days from the date of the June 8 letter to respond "with any evidence that you have authority to operate granted by the FCC." It says further enforcement action will be determined in part by the nature of his response. The FCC is scheduled to vote at its July 13 meeting on a draft Report and Order that would restore amateurs' access to the full 76-81 GHz (4-mm) band, but at reduced power levels, in order to allow sharing the band with vehicular radars. According to the ARRL, amateur access to the 76-77 GHz portion of the band has been suspended for nearly 20 years. This proceeding would restore full band access, but on a secondary basis and with a maximum power level of 316 watts effective isotropic radiated power (EIRP). The 76-81 GHz band was adopted for vehicular radar systems worldwide at the 2015 World Radiocommunication Conference. The FCC feels that the nature of amateur operations on the band – mostly experimental, with stations located temporarily on mountaintops using antennas mounted as high as possible – will minimize conflicts with automotive radars, which tend to be mounted low on vehicles and point downward. The proposal was still subject to changes prior to the July vote. The East Coast Amateur Radio Service (ECARS) has awarded nearly $1000 to a Pennsylvania group dedicated to promoting amateur radio awareness among Boy Scouts and Girl Scouts, and to using amateur radio as a vehicle for STEM (Science, Technology, Engineering and Mathematics) education. The group says its $984 grant will help The Educational Alliance for Amateur Radio to purchase receivers, transmitters and direction-finding antennas to be used in conjunction with its courses for the Boy Scouts' Radio Merit Badge and the Girl Scouts' Wireless Technologies Award. ECARS has operated a daily service net on 7255 kHz since 1968. Public relations manager Jim Freed, KA1MQ, notes that additional grant funds are available for amateur radio groups and other not-for-profit organizations "with programs to educate, license and otherwise support amateur radio activities, with emphasis on youth-based projects." For more information, visit <http://bit.ly/2sZoq2z>. 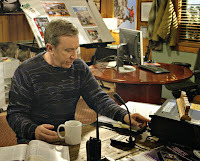 CQ MF/LF Operating Editor John Langridge, KB5NJD, reports that he and several other FCC Part 5 experimental stations will be operating demonstration stations on 630 and 2200 meters during Field Day weekend. Hams are encouraged to tune their receivers down below the AM broadcast band to listen for these stations. Additional information on monitoring these stations and turning your reception into Field Day bonus points may be found on John's website at http://njdtechnologies.net/field-day-2017-details/. Will "FirstNet" Make Ham Radio EmComm Obsolete? The federal government is in the early stages of building a nationwide, hardened, wireless network expressly for use of first responders in emergencies and disasters. According to the ARRL Letter, the First Responder Network (FirstNet) is being developed by an independent authority within the U.S. Commerce Department's National Telecommunications and Information Administration (NTIA), which parallels the FCC for federal government spectrum users. The network will initially focus on providing data and video, with "mission-critical voice communications" at least a decade away. According to Ralph Haller, N4RH, chairman of the National Public Safety Telecommunications Council (NPSTC) and former amateur radio chief at the FCC, the full implementation of FirstNet "will likely be as significant as when public safety first began using radio." He also predicted that it will diminish ham radio's role as a backup for public safety systems because fewer of them will fail in emergencies and disasters. However, Haller said there should be an ongoing role for amateurs as "eyes and ears on the ground" during emergencies and particularly during the recover phase of disasters. He advised amateur radio emergency groups to speed up their adoption of digital modes and DATV (digital amateur television) and to continue working closely with public safety organizations. "Be sure," he said, that these organizations "never forget how valuable the amateurs are!" "Our Sun's 11-Year Magnetic Cycle Destined to Disappear," read the headline on an item in the June 1 edition of the ARRL Letter, leading to an initial response of alarm amid a weak Cycle 24 and talk of a possible "Maunder minimum" with virtually no sunspots in the near future. But rather than a new prediction of doom and gloom for sunspot-hungry hams, the article actually held out new hope for future solar cycles. from the DXCC list due to administrative changes in the Papahānaumokuākea Marine National Monument that technically made both islands part of Hawaii. The deletion was retroactive to August 2016, when those changes took place. 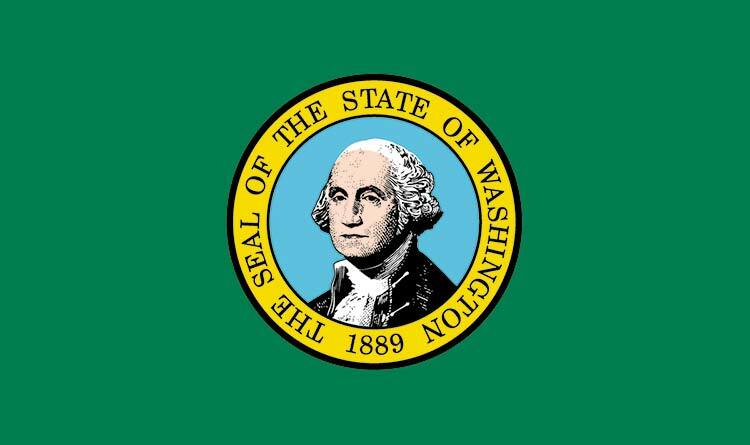 Now, without mentioning the resulting uproar in the DXing community, the ARRL has reversed course and reinstated both islands as separate DX entities. "After further review," the ARRL Letter sort of explained, "it has been found that the deletion of these two entities is not supported by the changes that were made to the relevant administrations." Eighty years ago, pioneering pilot Amelia Earhart disappeared over the Pacific while attempting a round-the-world flight. To commemorate the anniversary, pilot and radio amateur Brian Lloyd, WB6RQN, is making his own circumnavigation attempt following Earhart's original flight plan. He took off from Miami on June 1 and expected his solo trip to take about two months, according to the ARRL Letter. Lloyd will be active on the ham bands as his schedule permits. Listen for him operating SSB on 14.210, 14.346, 18.117.5 or 7.130 MHz, as well as digital ALE (automatic link establishment) on HFLink frequencies. You can also follow his progress at <http://projectameliaearhart.org/>. A 150-day voyage from Toronto to Victoria, British Columbia, via the Northwest Passage may be tracked via ham radio WSPR (Weak Signal Propagation Reporter) signals. The trip, named Canada C3, is part of that nation's celebration this year of its 150th anniversary. According to Southgate Amateur Radio News, the organizers allowed a team of hams led by Barrie Crampton, VE3BSB, to install a WSPR beacon on board the vessel, as part of a package of science experiments and research projects being carried out as the ship makes its way through the Arctic along the world's longest coastline. A live tracking link, provided by QRP-labs, may be found online at <http://www.qrp-labs.com/c3.html>. 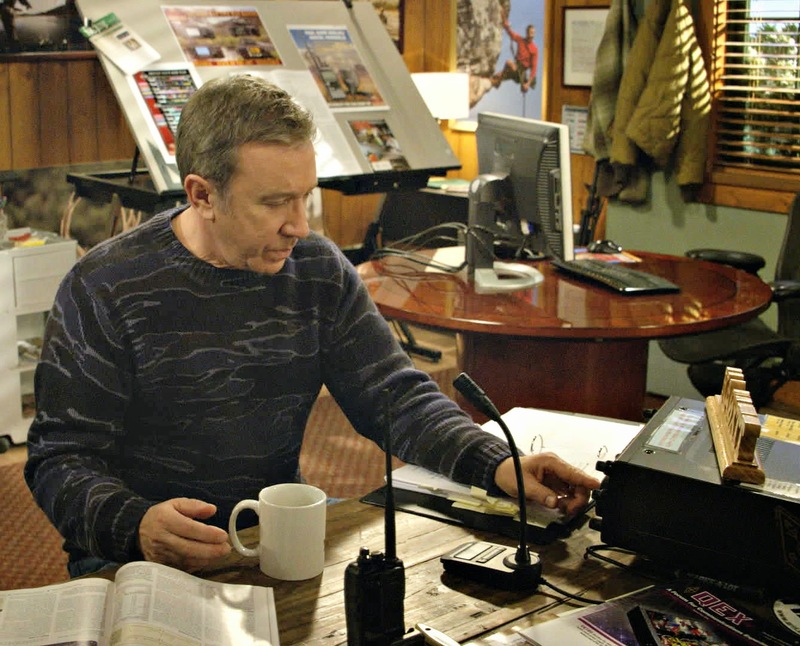 The ABC comedy, "Last Man Standing," starring Tim Allen as an outdoor store manager with a ham station in his office and his basement, was cancelled by the network at the end of its sixth season. According to "TV By the Numbers," the program maintained consistently good ratings and no explanation was offered by ABC for its decision. Executive Producer John Amodeo, NN6JA, says the program will continue to air in syndication, but it is unlikely that there will be any new episodes shot. 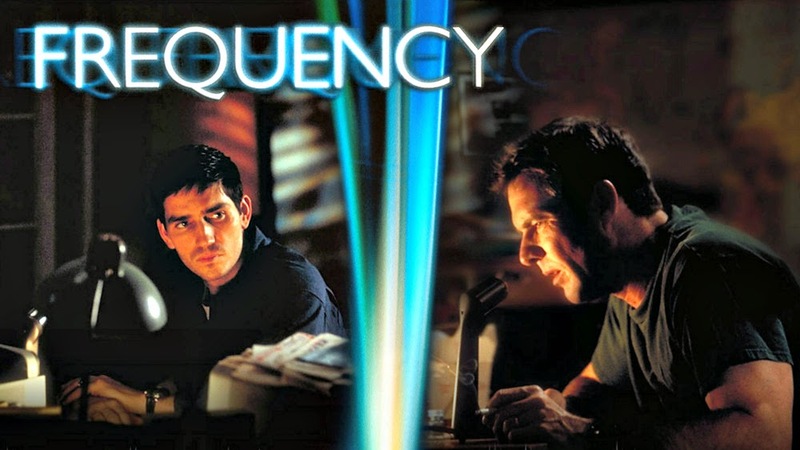 In addition, the ARRL Letter reports that "Frequency," the TV spinoff of the 2000 movie of the same name, was cancelled by the CW Network after its first season. Former CQ Worked All Zones Award Manager Floyd Gerald, N5FG, became a Silent Key in May. He had been in poor health after suffering a heart attack last year. Floyd was also co-founder of the Magnolia DX Association, the largest DX club in his native Mississippi. Low-power FM broadcast advocate Nickolaus "Nick" Leggett, N3NL, passed away in late April. An inventor with multiple patents to his credit, Leggett was best-known as on3e of the leading proponents of establishing the Low Power FM broadcast service for local microstation broadcasting, according to RadioWorld. He also teamed up with Don Schellhardt, KI4PMG, to battle for reform of amateur radio antenna rules; and was a frequent commenter on a wide variety of amateur radio-related petitions considered by the FCC. Glenn Baxter, ex-K1MAN, a perennial thorn in the FCC's side, passed away in early May. Baxter fought with the FCC for years over complaints of malicious interference, broadcasting on the amateur bands and using amateur radio for business purposes, frequently taking his arguments into federal court in his home state of Maine. According to the ARRL Letter, the FCC in 2014 dismissed Baxter's long-standing license renewal application on the grounds of his failure to pay a $10,000 fine which was affirmed by the U.S. District Court. Case Western Reserve University has honored Professor David Kazdan, AD8Y, with the Wittke Teaching award for excellence in undergraduate teaching for his Seminar Approach to General Education and Scholarship (SAGES) course, Shrinking the World. According to the ARRL Letter, the goal of the wide-ranging course is to build students' "understanding (of) human culture and behavior, scientific knowledge, and methods of research." All students in the course must also earn an amateur radio license and operate the school's club station, W8EDU. Mark Abramowicz, NT3V, a correspondent for "Amateur Radio Newsline" and a professional broadcast journalist in Philadelphia, has received National Eagle Scout Association's "Outstanding Eagle Scout Award." According to Newsline, Abramowicz earned his Eagle rank in Boy Scouts in 1973, and has remained active in scouting throughout his adult life. Mark is also chairman of the selection committee for the Bill Pasternak Memorial Young Ham of the Year Award, of which CQ is a co-sponsor. 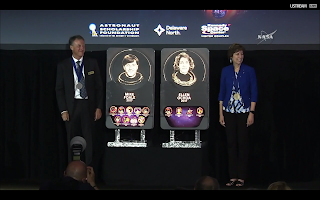 Johnson Space Center Director Ellen Ochoa, formerly KB5TZZ, and former astronaut Mike Foale, KB5UAC, were both inducted into the United States Astronaut Hall of Fame in May. 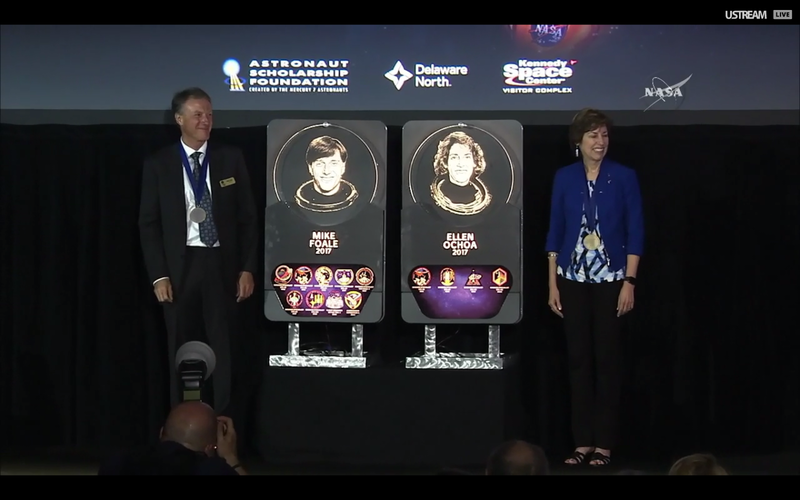 Ochoa was the first Hispanic woman to fly in space, and Foale is the only American astronaut to have flown on both the Russian Mir space station and the International Space Station. While on the ISS, according to the ARRL Letter, Foale set up the Amateur Radio on the International Space Station Phase 2 station in the Russian service module. 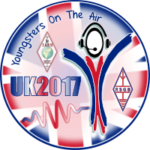 Eighty young amateurs from 30 countries in Europe, Africa and Asia will spend a week together in suburban London next month at the annual IARU Region 1 Youngsters on the Air (YOTA) event. According to the Radio Society of Great Britain, which is sponsoring this year's gathering, activities will include a special event station, a contact with the International Space Station, kit-building, antenna building, a hidden transmitter hunt and a Summits on the Air activation. This is the seventh annual YOTA summer gathering, which takes place in a different country each year. Participants are all age 25 or younger. This year's event will be held at Gilwell Park outside London, the headquarters of UK scouting. The group will include two amateurs from Japan. In addition, the ARRL Letter reports that the YASME Foundation has provided grants to cover the expenses of two young amateurs each from Ethiopia, Tunisia and Kosovo. YOTA UK 2017 is scheduled for August 5-12. The government of India has shut down online sales of wireless transmitting equipment in response to security concerns, according to the ARRL Letter. This is the latest development in a story that first surfaced last fall, when amateurs in West Bengal began monitoring "highly suspicious" coded transmissions on 2 meters from a region along the border with Bangladesh. India's Intelligence Bureau took an immediate interest in the matter and asked hams to continue monitoring. Now, the Mumbai Mirror newspaper reports that the country's telecommunications ministry has ordered e-commerce websites, including Amazon and eBay, to immediately stop selling transmitting gear online to customers in India. A series of radio relays helped bring aid to a sport fishing vessel that was taking on water in Mexico's Sea of Cortez (Gulf of California). The ARRL Letter reports that the captain of the sailing ship Ubiquity - Brian Stipak, KF7QCX - monitored a VHF marine distress call from the fishing vessel Free Spirit, saying the boat was taking on water, that its source could not be located and that the four people on board were abandoning ship. When Stipak couldn't raise authorities on the VHF marine channels, he tuned to the Maritime Mobile Service Net on 14.300 MHz. He was able to relay the ship's information and last known position to the net control station, who in turn notified the U.S. Coast Guard in San Diego, which notified the Mexican Navy. Ultimately, Stipak learned that the Free Sprit's crew had found and stopped the leak but still needed assistance. The boat was towed to shore and all aboard were safe. Officials at the Irish Broadcasting Hall of Fame are looking for information and materials for either a gallery or entire museum devoted to pirate broadcasting. Newsline reports that a then-unlicensed radio station broadcasting from Dublin in 1916 played a key role in the "Easter Rising," in which Ireland broke away from Great Britain. A meeting was scheduled in early June among museum officials, broadcasters, former pirate radio employees and radio enthusiasts to discuss what the proposed museum should collect and display. If you have information or artifacts that might be of interest, e-mail <irishbroadcastinghalloffame@gmail.com>. operating an unlicensed FM broadcast station. According to the ARRL Letter, the FCC's Notice of Violation said agents had traced signals to Hilden's residence whose field strength "greatly exceeded … the maximum permitted" on an FM broadcast frequency without a broadcast license. Hilden was given 20 days to present his side of the story to the FCC along with providing "all relevant surrounding facts and circumstances." In a separate matter, the FCC has gone to federal court to try to collect a fine imposed two years ago on a ham in western Pennsylvania. According to court documents, the FCC in 2015 fined Brian Crow, K3VR, of North Huntingdon, Pennsylvania $11,500 for allegedly causing deliberate interference on 14.313 MHz. Apparently, the fine remains unpaid and the Commission decided to take the matter to federal court to force payment. Germany's telecommunications regulator has opened the 4-meter band to amateur use, but only on a test basis. According to Newsline, the frequencies between 70.150 and 70.180 MHz are available to hams through August 31, 2017, with significant restrictions on power, bandwidth and antenna polarization. The 4-meter band has long been available to amateurs in some European countries, but in Germany has been used primarily by the military and the national railway. Hams must operate on a non-interference basis. A similar test period occurred in 2015. The band has never been available in the United States because of conflicts with analog television broadcast frequencies. Even thought TV broadcasting has now gone digital and moved to higher frequencies, the FCC has so far refused to consider petitions for a U.S. amateur allocation on 70 MHz.